40 FT Utility and Tow Vessel "Kansas City"
The Kansas City is a favorite for SF Bay tours and San Francisco Bay scientific study and research projects. 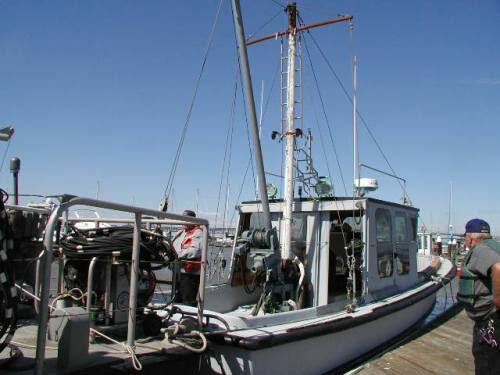 People enjoy riding and fishing on an authentic utility and tow vessel! 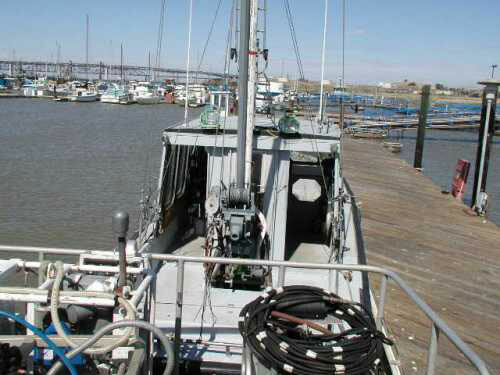 The Kansas City has a restroom, a roomy cabin, ample deck space, and an 8 ton boom for commercial work. The Kansas City can be chartered to go anywhere in the San Francisco Bay and Delta, from Alviso to Sacramento! Since the Kansas City only drafts approx 3 1/2 feet, it is a favorite for shallow water work and exploration. In addition, many photographers enjoy the close up shots they can get from her deck! San Francisco Bay is a mecca for bird and wildlife observation! 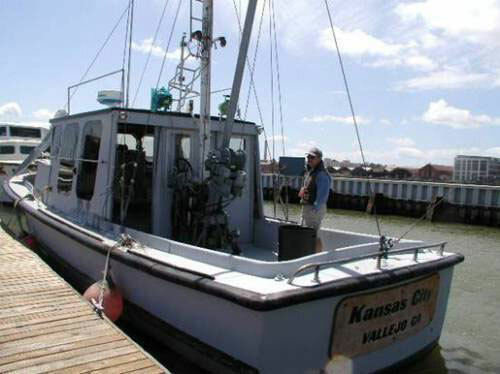 The Kansas City is insured for both passengers and marine towing, and is registered with the US Coast Guard as a commercial tow vessel. 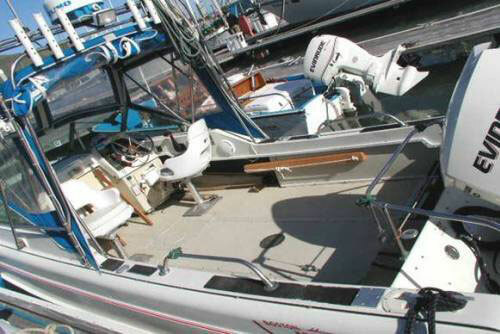 Our Boston Whaler is well equipped and fun! 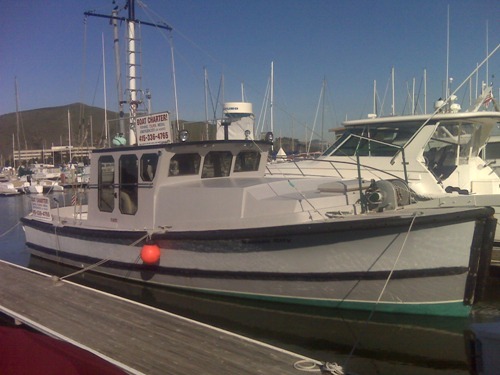 Perfect for fishing, bay tours, scientific research, and crew transport or other marine transportation activities. Board with confidence as there will be a licensed captain at the helm! Insurance companies are so confident of the Boston Whaler name that this boat is easily insured for trips to the Farralon Islands and beyond! 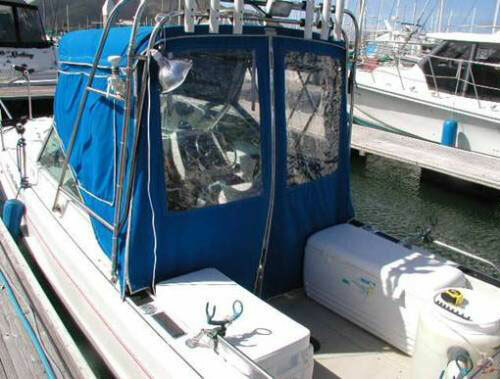 The 21 foot Boston Whaler (unsinkable!) 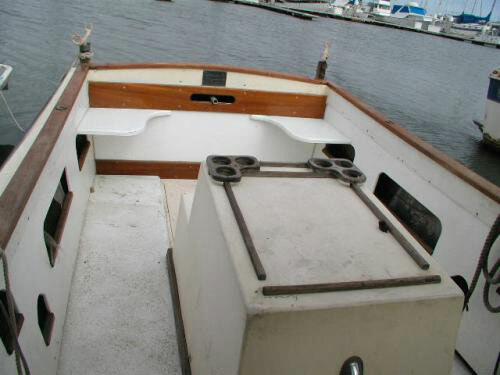 is a fast and fun boat. Equipped with an E-Tech motor, it is capable of speeds of 40 knots. We get to the fish fast! 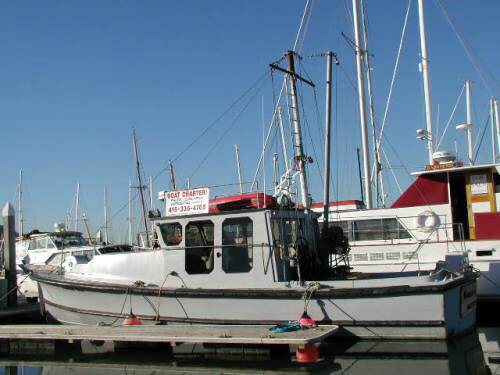 Our 21 foot Romany boat, named "Popeye", is an actual mini tug and tows many boats in the South San Francisco Bay waters. 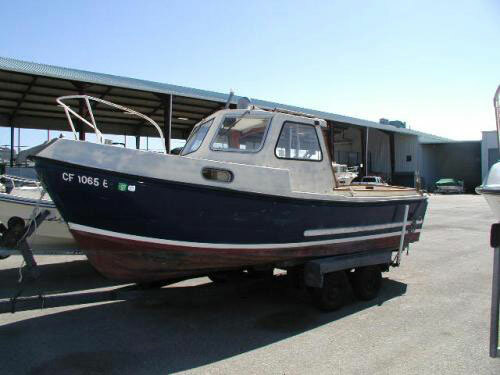 Popeye is powered by a Perkins diesel engine and is popular for remote work requiring a strong trailerable boat. 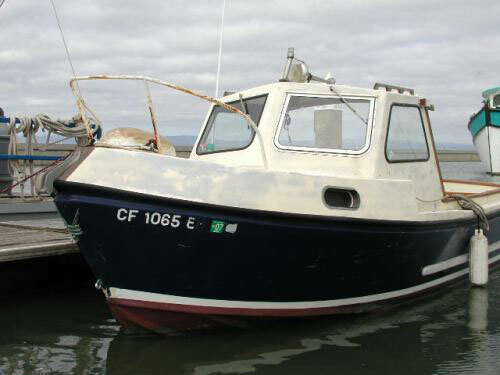 Roomy and fun, Popeye is capable of towing boats twice her size - hence the name! 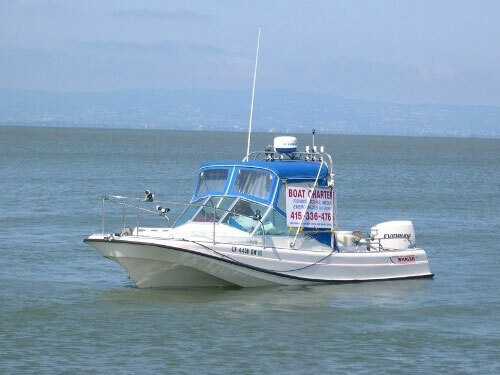 Our most economical boat, she can also do local fishing trips in the South San Francisco Bay or towed locations or San Francisco Bay tours (maximum 6 passengers). Please call 415-336-4765 for more information and pricing.